APS – February 7th, 2017. ALGIERS- The constitutional amendments of 2016 have paved the way towards "a political era and a legal system likely to make of Algeria a citadel of Republican and national values, of peace, national reconciliation, democracy and development," said on February 7th, 2017, in Algiers, the Speaker of the People's National Assembly (Lower House of Parliament), Mohamed Larbi Ould Khelifa. The constitutional amendments, all the organic laws and laws adopted by the Parliament aimed at "improving the performance and functioning of the institutions of the Republic and increasing the political participation of citizens in elections, which would be held under additional guarantees, enshrined by the Constitution," said Ould Khelifa during a parliamentary day on "Objectives and results of constitutional amendments." He added that "this would strengthen the stability of the State and its institutions, by allowing citizens to further enjoy their rights within a constitutional State." 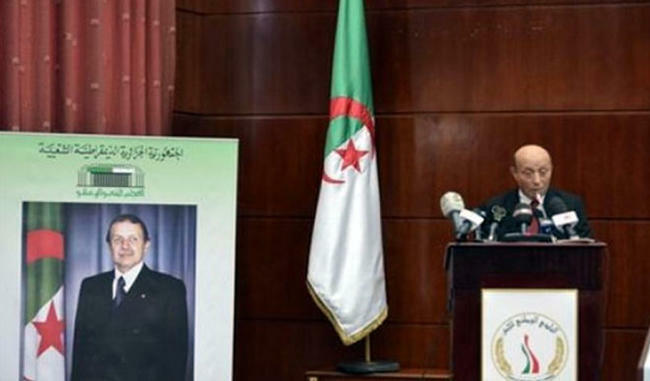 The objective decisions of the constitutional amendments "reaffirm the commitment of President of the Republic Abdelaziz Bouteflika to consolidating democracy in the country through the promotion of human rights, making of the political participation the foundations for the governance and guaranteeing political legitimacy and the principle of separation of powers," said Lower House's speaker. The revision of the Constitution has "consolidated the independence of justice to ensure more rights to citizens, strengthen the process of building a constitutional State and ensures its stability."